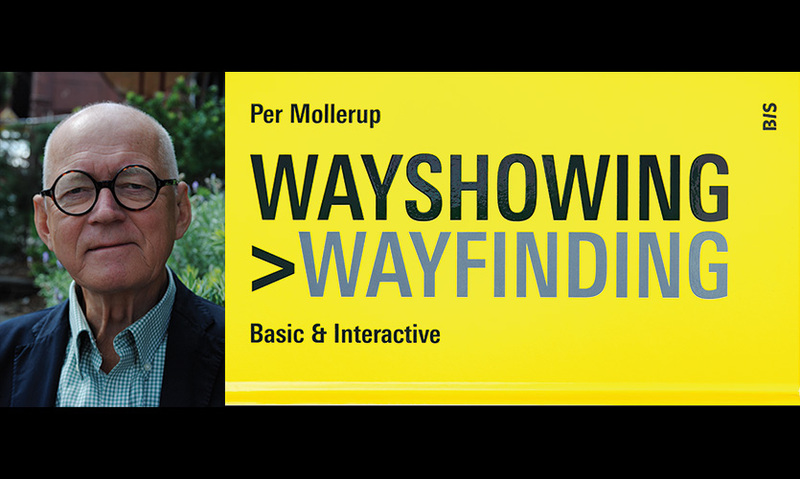 Per Mollerup updated his 2005 book Wayshowing with Wayshowing > Wayfinding in 2013. Wayshowing enables wayfinding. However Mae West ‘s famous adage, Too much of a good thing is wonderful, does not apply (Moremelds Saddle, Victoria, Australia). Per Mollerup, Dr. Tech., is a writer, design thinker, and professor of communication design at Swinburne University of Technology in Melbourne. From 1984 to 2009, he was owner and principal of Designlab, a Copenhagen-based, award-winning design consultancy specialized in wayshowing and branding. He is the author of four books, including Wayshowing>Wayfinding (2013) and Wayshowing, A Guide to Environmental Signage (2005). 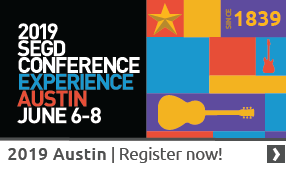 He will be a keynote speaker at the 2014 SEGD Conference June 5-7 in Atlanta. Meet him there! 1. You coined the term "wayshowing" in your 2005 book. Why did you feel you needed to change the vocabulary around this discipline that has traditionally been called wayfinding? When Kevin Lynch coined the term “wayfinding” in The Image of the City, 1960, he talked about the activity where somebody is finding his way in unknown terrain. In Wayfinding, 1992, Paul Arthur and Romedi Passini used the word with the same meaning. However, when assisting wayfinding, designers practice wayshowing. Wayshowing enables wayfinding. To use “wayfinding” about the work of professional designers is mistaking the sender for the receiver, the writer for the reader, the chef for the guest. The title “Wayfinding Director” is a misnomer. Would you trust a chef calling himself “Eating Director”? A mature professional discipline needs a precise vocabulary. Professional designers practice verbal as well as non-verbal thinking. Serious verbal thinking involves precise terms. 2. When you set out to write Wayshowing and Wayshowing > Wayfinding, what did you intend to say that hadn't been said in other books about this topic? When I wrote Wayshowing in 2005, my company in Copenhagen had among similar commissions done wayshowing programs for the Copenhagen, Oslo, and Stockholm airports. Based on our experience, I imagined that I could say something new and something already said in a better way. Among new knowledge presented in Wayshowing was the identification of nine wayfinding strategies we all practice when navigating in terra incognita. Most of us don’t know that we know and use these strategies. They are “unknown knowns,” in Donald Rumsfeld’s parlance. To wayshowing designers, they are essential knowledge. User-centered wayshowing design builds on knowledge about wayfinders’ intuitive strategies. The time was ripe for Wayshowing>Wayfinding, 2013, when Wayshowing had been out of print for some years and reached shamelessly high second-hand prices on Amazon. Also, some designers apparently thought that “wayshowing” was a new fashionable term for “wayfinding.” Some corrective action was due. Finally, the development of interactive wayshowing and wayfinding knocked on the door. 3. 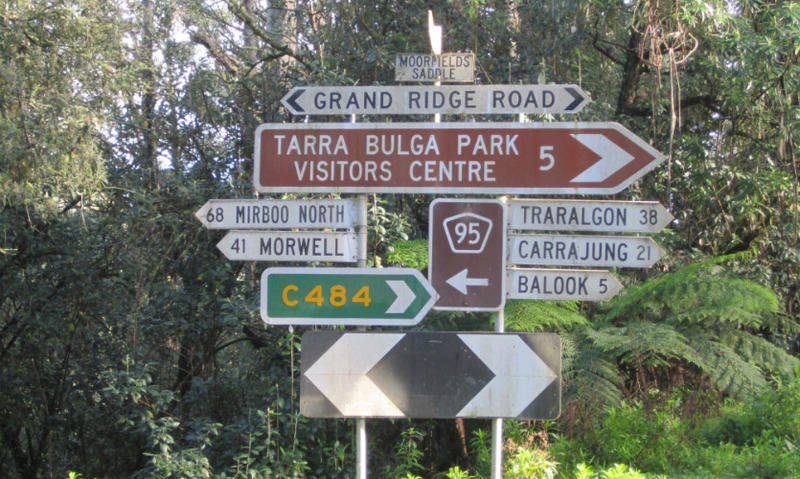 What are some of the most common mistakes you see in wayfinding (signage) programs? You mean wayshowing programs? Today, many highly competent wayshowing designers do a lot of good work. However, the designers are not the only players and signage is not the only wayshowing medium. Ideally, wayshowing is the result of a holistic planning process that involves architecture, toponomy (the naming of places), pre-visit information, aural messages, help desks—and signage. Just as we see much new architecture where personal expression overshadows function, we also see wayshowing programs where outlandishness and profiling substitute good wayshowing practice. 4. Your new book addresses interactive wayshowing. How do you think digital technologies are changing the way we find our way? And are they changing the way that designers show the way? Will they ever replace "traditional" wayshowing signage? Interactive technology—handheld or mounted in a car—is increasingly used for wayfinding. Unfortunately, this new man/machine alliance tends to hinder the user’s creation of a cognitive map, which otherwise provides a temporal advantage of scale: it becomes easier to travel an area as the cognitive map is developed. Also, until now the new technologies primarily work in outdoor areas while a fair part of our wayfinding problems happens indoors. Finally, not all of us carry a digital wayfinding assistant all the time. Summing up: It is a safe prediction that we will not dump the traditional wayshowing media including signage in a foreseeable future. Some designers will work on improved user interfaces of digital devices, and some (most) will work on environments that assist unplugged wayfinders directly. 5. In your section on interactive wayfinding you mostly focus on "apps and maps." Do you see a world where wayshowing is more embedded/immersive/ambient? What does the future look like from where you are sitting? My crystal ball is off-line. 6. You suggest that "waylosing" may not be such a bad thing. What do you mean by that? I am not advocating waylosing on the way to the maternity ward, but in less stressed situations it can be great fun. Waylosing is the stuff mazes are made of, and it is one of the great attractions of Venice (Italy) and many other places. Also, we should not forget serendipity, the luck of finding something unexpected and useful when looking for something else. After all, America was found by some guys who lost their way to India.